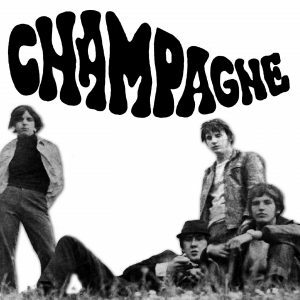 Champagne originated from Plymouth. Recording made at the Van Dyke club, Plymouth on a two track grundig recorder with one centralised microphone. Guitarist, Terry Ball had previously played in local bands such as The Drifters, The Scorpions and Fifth Precinct. 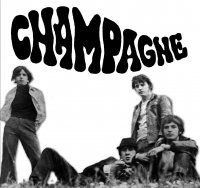 He formed Champagne in 1966 at the age of 17 with a view to gaining a recording contract or music publishing deal. He progressed from rhythm guitarist to backing singer and lead guitarist and eventually, the front man. Kim Simmonds, guitarist with The Savoy Brown Blues Band hailed Terry Ball as one of the best blues guitarists he had ever seen when playing alongside Champagne at a gig in 1966. Champagne failed to clinch a recording or publishing deal and split up later in 1966. Terry Ball moved away from Plymouth to study at Leeds University before moving back to Plymouth in 1971 and teaming up with ex-Champagne bass guitarist Paul Arscott to join Clown. Clown were signed to CBS a year later (see entry). Terry Ball became a respected and renowned blues guitarist on the local circuit. Greg Van Dyke became a noted record dealer up until his death in 2007. Terry Ball (guitar), Paul Arscott (bass guitar), Greg Van Dyke (keyboards), Tony Carney (drums). All recorded and photographic material copyright Terry Ball /Ley Perryman. 2011. Very special thanks to Ley Perryman (Clown) and Terry Ball.